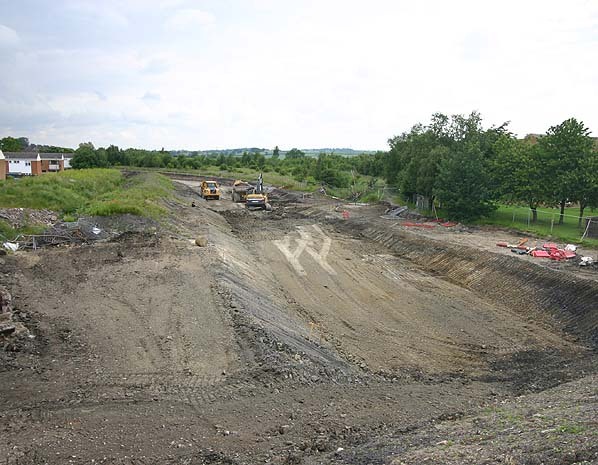 Present state: The platforms were demolished in early 2008 during the construction of the Staveley Northern Loop Road. At the time of the site visit platform ramps were still visible under the A619 bridge but this bridge is due to be demolished as part of the road works. Notes: Staveley Town was a large station with four platform faces, an island and two side platforms and was the northern junction for the loop line to Chesterfield. 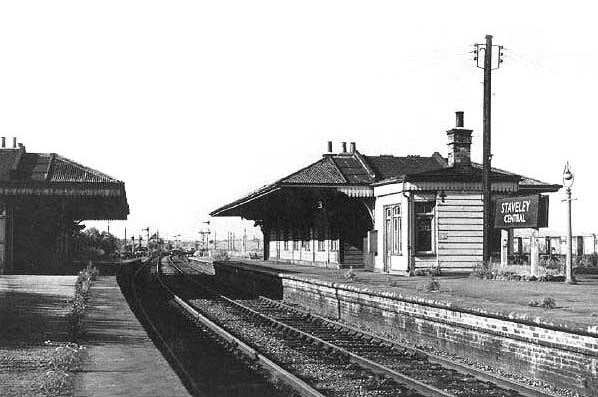 The timber-built booking hall was on the A619 road overbridge and there was a timber waiting room on each platform. The station was also the junction for branches to the Ireland, Hartington and Markham Collieries The goods yard was on the down side of the line alongside and to the north of the station with a large goods shed and a siding serving cattle pens. On the down side of the line there was a marshalling yard and extensive sidings. Staveley motive power depot was sited to the south of the station on the up side of the line, this provided motive power for freight and local services. call at the station until 1964. The freight service was retained until 12th June 1965 although a private siding remained in use after that date. 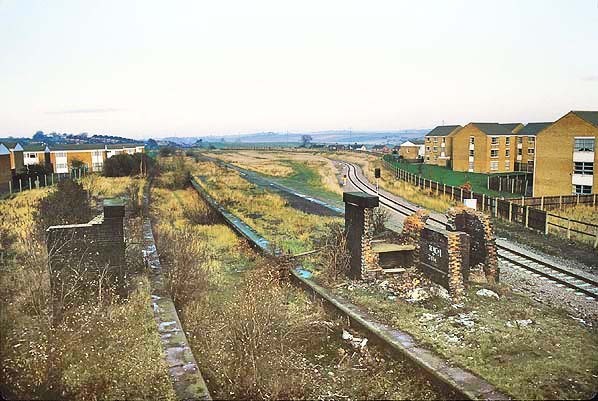 Following complete closure of the station the track remained in place to serve a number of local collieries and a new spur from the Midland Railway to Arkwright Colliery was built in 1981 joining the Great Central line just north of the station. Following the closure of Arkwright Colliery in early 1988 the last remaining track through Staveley was lifted later that year. 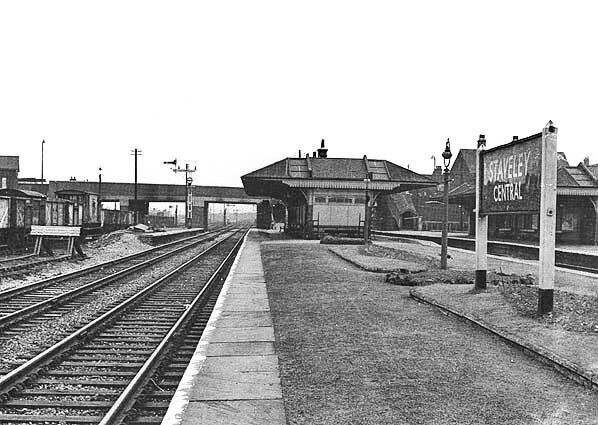 Staveley Central Station looking north in 1983. 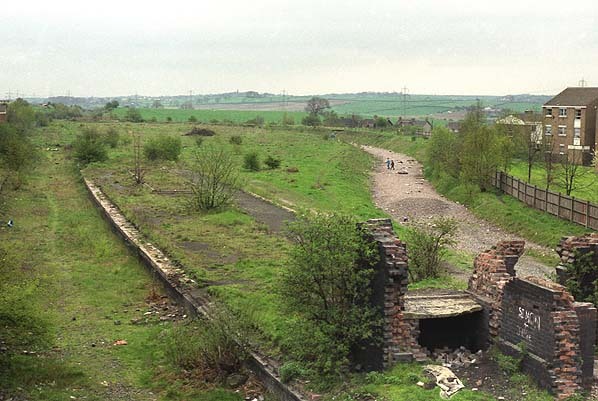 The track on the right served Arkwright Colliery until closure of the colliery in 1988, it was lifted in the same year. of the Staveley Northern Loop Road.